The networking event of the year, CEMS Annual Events 2018, takes place in Malta between the 5th and 9th December. The Annual Events are organized on a rotating basis by 31 member schools. During these days, members of the whole CEMS family gather in one place – graduates of CEMS partner universities, their relatives and schoolmates, board members, executives, academic staff, corporate partners and alumni. VSE is represented by: prof. Hana Machková (Rector, member of the CEMS Strategic Board), prof. Jaroslava Durčáková (former Rector and Vice-Rector for the International Relations), prof. Ivan Nový (Dean of the Faculty of Business Administration – home faculty of the CEMS programme), prof. Jiří Hnilica (Vice-Rector for International Relations and IS, CEMS Executive Board Member), Ing. Ladislav Tyll, MBA (Academic Director), Klára Vítečková (Programme Manager) and Šárka Otčenášková (Corporate Relations Manager). The Annual Events are the highlight of the CEMS year. They represent an exceptional opportunity to bring together the entire CEMS community for meetings, discussions, decision-makings and formal announcements. The program is full of Executive Board Meeting, Academic Directors Meeting, MBC Steering Committee, Programme Managers Meeting, Communication Directors Meeting, Corporate Partners Meeting and Student Board Meeting. Total of 1241 students of 63 nationalities graduate on Saturday creating a community of nearly 14.500 CEMS alumni around the world. 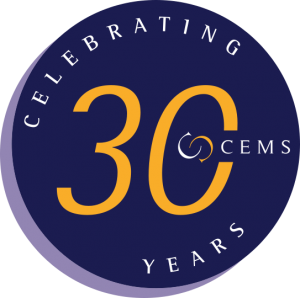 This year is very special, CEMS Alliance celebrates its 30th anniversary as it was established in 1988 by founding members from the University of Cologne, HEC Paris, ESADE and the Università Bocconi. Access to the e-application is open now. The admission procedure consists of 2 intakes. The 1st intake deadline is on February 28, 2019, selected students will pass the assessment center. The 2nd intake is subject to available spots, the deadline is on April 30, 2019, additionally, GMAT ≥ 650 is required, selected students will pass the Skype crack the case interview. For more information about the admission procedure see the Master in International Management/CEMS website.